Berkeley, CA: Pacific Coast School for Workers, 1940. Paperback. vii, 72p., wraps, mimeographed, ex library with the usual markings else good condition, 8.5x11 inches. San Francisco: The Religious School of Congregation Emnau-El, 1958. 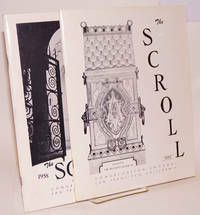 Slender staplebound yearbook-style publication, 8.5x11 inches, black and white photos, very good. 40 and 44 pages respectively. Kannami: Jinjo koto shogakko, 1939. 15 leaves, black and white photos, with tissue paper overlays printed with the names of the subjects underneath or itentifying the activities depicted. 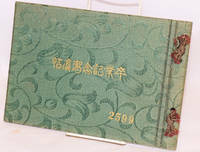 Figured green brocade-covered boards, bound with string and titled gilt, very good. Berkeley: University of California, 1947. 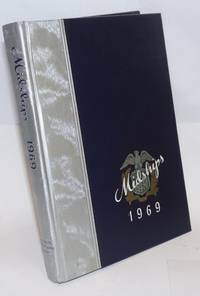 511p., very good hardcover yearbook, 12.2x9 inches, profusely illustrated. 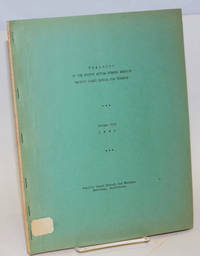 This is the personal copy of Him Mark Lai, a pioneer in the field of Chinese American studies; front cover has his name in gold lettering at lower right corner, and his red rubberstamp appears internally. 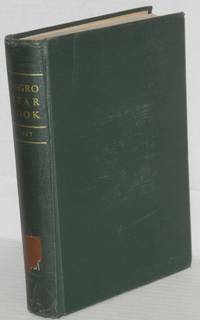 Tuskegee: Tuskegee Inst, 1946. xv, 708p., preface, tables, bibliography, index, library bookplate, quite worn with rear hinge cracked badly, front hinge weak; ex-library copy in green cloth boards and gilt, library call number and tape on tail of spine. San Francisco: Media Committee, 2001. [40p. ], staplebound wraps, 8.5x11 inches. 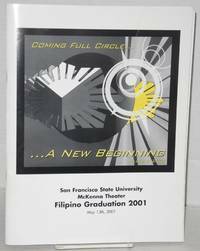 Commemorative booklet for the graduating class, with black and white photos and personal statements. Long Beach: the college, 1932. Hardcover. 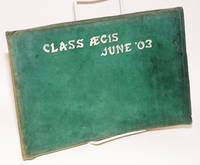 196p., hardbound in 11x8.5 inch boards decorated in pale yellow with rulings blind; the normal yearbook format with b&w portraits and journalism on coated paperstock. Scattered greetings and autographs. 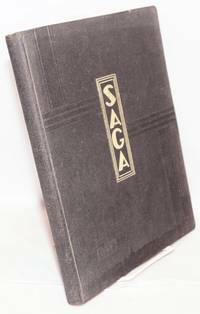 Covers are very dusty and somewhat edgeworn, ownership legend on half-title page ("D. Dod"), a good copy. --A word on book's design and production: as acknowledge in the Foreword, endsheets and dividers are inspired by Rockwell Kent images of maritime life; quite successful if not perfect, and if sailing a little too close to straight-out copy-cat craft. Long Beach: the college, 1931. Hardcover. 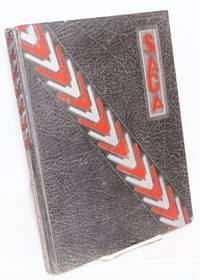 221p., hardbound in 11x8.5 inch boards decorated in silver and red on black; the normal yearbook format with b&w portraits and journalism on coated paperstock. Scattered greetings and autographs, and, laid in, a closely-typed portion of a short story on cheap paper, titled ("What Price Pearls") but unsigned; concerns amateur smuggling, Europe to America. Covers are very dusty and somewhat edgeworn, ownership legend on ffep (one "Donald Dod"), a good copy. --A word on book's design and production: find amateur but effective use of art deco motifs in colors throughout. no place (presumably Santo Tomas): Santo Tomas (La Union) Elementary Schoiol Alumni Association, no date. Oversized Paperback. 160p. Text mostly in English with some Tagalog. Covers a bit erubbed and soiled.Previous owner's name and address to front free endpaper. Los Angeles: George Washington Carver Junior High School, 1948. Magazine. 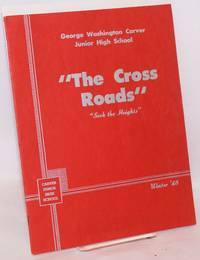 20p., 8.5x10.75 inches, essays, b&w photos, Class of 1948 names and photos, awards, about 48 signatures on last page, very good magazine format yearbook in red stapled wraps. Taibei: Qiao wu wei yuan hui, 1995. 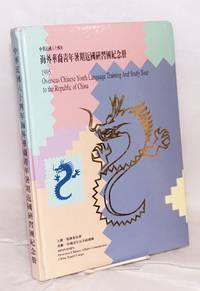 320p., yearbook-style 12x8.5 inch hardcover with photos of participants and social activities, text in Chinese and English, issued as a souvenir for the largely Chinese-American contingent; endpapers and several other papers bear personal inscriptions and drawings by fellow participants. 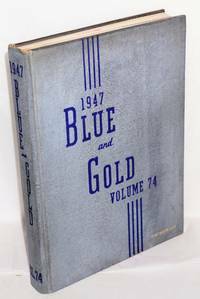 San Jose CA: The Associated Students of San Jose State College, 1937. p., yearbook, standard format on glossy paperstock, hardbound in 11x8.5 inch cloth boards. 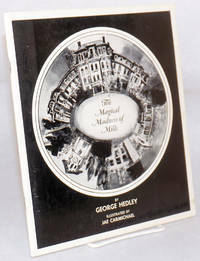 Quite worn with wiggly hinges, a few food-flecks within, a fair copy with complete text and photographs. Bastrop, LA: Morehouse Planning Committee, 1978. [64p. ], wraps, 8.5x11 inches, mild handling wear and soil. 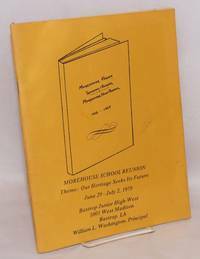 Reunion booklet for the African-American school, with a brief history, updates on some graduates, notes of greeting and local ads. Kings Point: United States Merchant Marine Academy, 1969. Hardcover. 266, 54p. 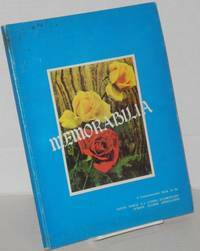 [ads], glossy paperstock throughout with b&w and color photography, hardbound in massive 12.3x9.5 inch blue boards over a silver spine. No ownership or other marks, faintests signs of any handling or age, near-fine. Oakland: Mills College, 1964. 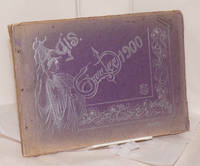 Unpaginated, p., sketches and caricatures throughout the text, staplebound 9x8 inch decorated glossy wraps. 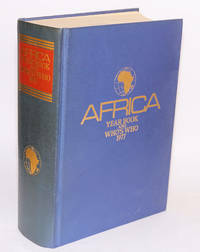 London: Published by Africa Journal Limited, 1976. xlvii, 1,364p., large inserted plates section with mugshots in b&w and flags in color; line maps throughout, massive 9.6x7 inch boards gilt and spine title in red and gilt. Former owner has rubber-stamped his name and address on all edges and endsheets; quite a sturdy item in sound clean condition. The Who's Who section references Samir Amin as well as Idi; lists titles, honors, general directions how to reach. Oakland: the school, 1900. Unpaginated, the usual melange of cartooning and sketches, mugshots, group portraits and ads; oblong 7x10 inch decorated wraps. No autographs. Staplebound textblock because of torn endsheets shows badly rusted fastenings, spine panel stab-holes (for decorative ribbon) are empty, first leaf has been roughly scissored away (type of loss unknown), yapp edges quite rough; a fair-only copy. Oakland: the school, 1901. Unpaginated, the usual melange of cartooning and sketches, mugshots, group portraits and ads; oblong 7x10 inch green cloth boards. No autographs. 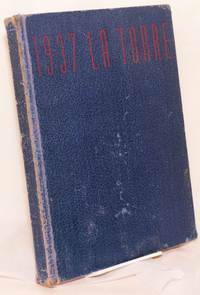 Staplebound textblock is roughly detached from the casing, expect torn endsheets, badly rusted fastenings, water damage with torn adhesions; a poor copy. [Oakland]: the school, 1903. Unpaginated, the usual melange of cartooning and sketches, mugshots, group portraits and ads; oblong 7x10 inch green suede lettered white. No autographs. Staplebound textblock is badly rusted, endsheets pulled away from hinges and spotted with schmutz, crappy copy. 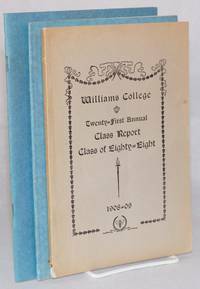 Williamstown: Williams College, 1909. Respectively 59p., printed 8.5 x 5.5 inch grey wraps, tail has lost a quarter-inch chip, two dog ears and a line of pencil to keep a place, otherwise slight signs of handling and age; [plus] 38, 38p., these latter match in a revised format, 8.75 x 6 inch blue wraps, about fine. The three "class of 88" annuals together. Letters to the compiler on the status of various alumni.